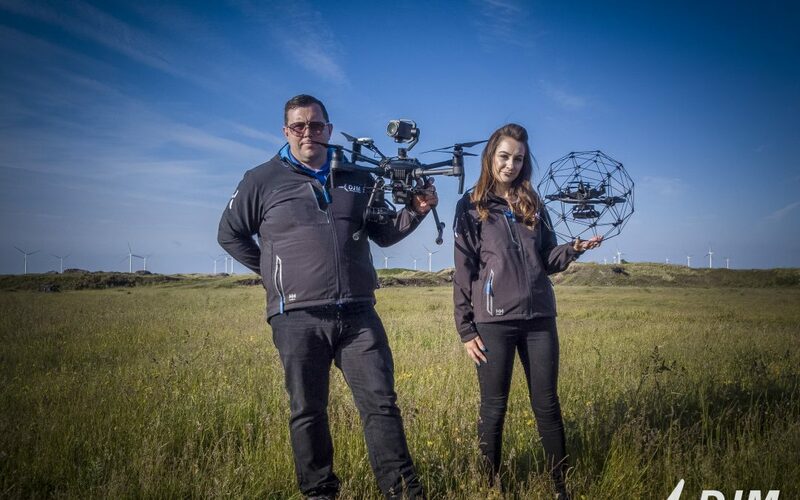 In the latest of a new series of member features, we shine the ‘Spotlight On’ Dan Maine, owner of Middlesbrough-based drone inspection and survey company DJM Aerial Solutions, who is aiming to break into new markets with the help of the County Durham Engineering and Manufacturing Network (CDEMN). You launched the business in March 2017. What was the driving force behind the decision? I am an engineer by trade and have worked in both construction and offshore environments and have worked overseas for the past 20 years. The travelling was taking its toll and I needed to consider my options and look for a way out. I knew I needed to consider attempting something innovative and take a leap of faith. I had an interest in photography and had bought a drone to use as an addition to my own personal portfolio and began to really get the hang of it. At the same time, I’d read about a company in Aberdeen that had adopted drone technology to assist with offshore projects and thought that would be perfect for me, given my skill base within that sector. I made the difficult decision to leave the lucrative offshore industry and invested a lot of time and capital into training along with the purchase of a fleet of high specification equipment, my thoughts being if I’m going to be taken seriously then I need to invest heavily in myself and the company. I developed a business plan and applied for a loan to supplement my own contribution and get the company foundation built. My fiancé, Sarah, came on board as business development director and we began the process. In March last year DJM Aerial Solutions was born. How has the first year gone? You’re into year two of business now. What’s the aims for the future? We really want to establish the business within new sectors, which is why we’ve become members of CDEMN. We aim to attend as many networking events as we can to help raise the profile of DJM Aerial Solutions and hopefully bring in more work. We are also keen to bring on board an experienced drone pilot as, currently, that falls on my shoulders. It would enable us to split the responsibility but also put ourselves forward for bigger projects as there’d be two of us. Allowing me time to concentrate on building report schedules and liaising with potential clients etc. The drone/aerial inspection and survey market is growing as companies begin to realise their potential, and I want to ensure we’re in the strongest possible position to capitalise on that. To find out more about DJM Aerial Solutions visit www.djm-aerial.com.